Digitus is a library designed to make Fingerprint authentication using Nexus Imprint easier for developers. On API levels below Marshmallow, it will fall back to a password dialog. Widget for RecyclerView fast scrolling, like Android's built-in fast scroll option for ListView. This library allows you to implement Google Photos style multi-selection in your apps! You start by long pressing an item in your list, then you drag your finger without letting go to select more. 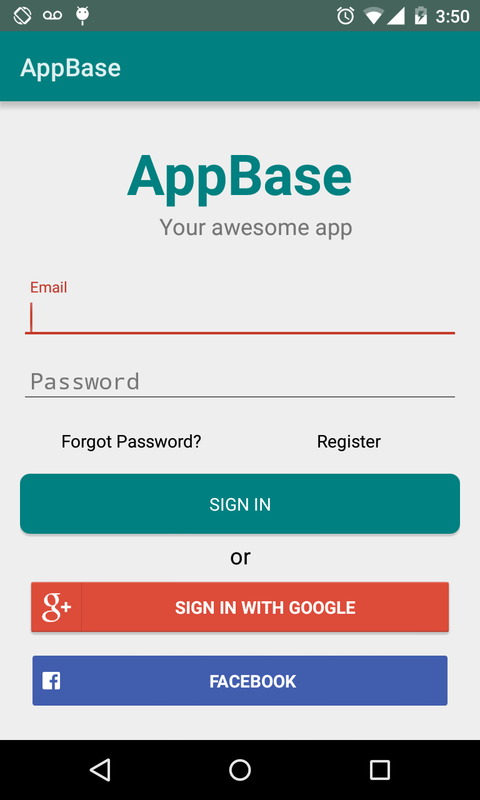 The Login Basics is an implementation of Android Login with Facebook, Google Plus (G+) and your own app login.